On the clear-sky morning of December 21st, 1994, Claus Siebe was standing at the foot of Popocatépetl, watching as elephantine plumes of black smoke and heaps of pyroclastic flow spewed out of Mexico&apos;s largest active volcano. Siebe stood silently next to a group of mountaineers, all of whom had their heads cocked upward. He&apos;d never witnessed an eruption on this scale before; he was floored. Recalling that day now, nearly 24 years later, Siebe describes a scene of awe and confusion. "Everybody was watching," Siebe says. "Nobody panicked. We were all just kind of surprised that this was happening." 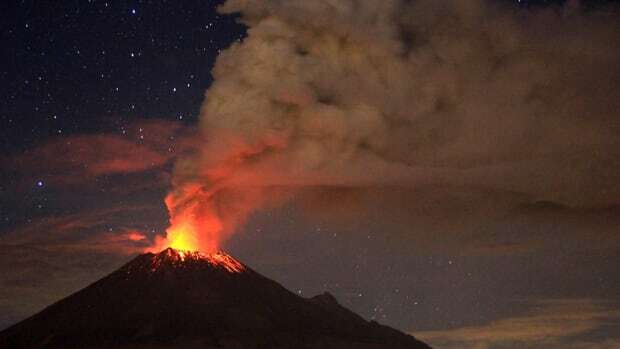 Over the next five years, Siebe and his colleagues would deduce that Popocatépetl&apos;s latest activity was its first in almost 1,000 years. In a 1996 paper in Geology, Siebe found, through hydrocarbon measurements and biometric dating, that the volcano experienced what&apos;s called a Plinian eruption—meaning an eruption that bears structural similarities to Mount Vesuvius&apos; mythically destructive outburst; so named in honor of Pliny the Younger, the hawk-eyed Roman who witnessed the horror—around 215 B.C.E, and again around 823 C.E. In short, it had experienced its share of Big Ones, as he calls them. Siebe&apos;s research had estimated the occurrence of a Big One "every millennia or so," a calculation that, even with advances in monitoring technology, is a scientific shot in the dark. Among the wreckage his modeling predicts: the general devastation of everything in an eight-mile radius. In the years since the 1994 eruption, Siebe and his colleagues have witnessed a handful of eruptions placed in categories of "High Risk" to "Medium Risk"—categorizations that are determined by the expanding radius of a destruction zone from Popo&apos;s mouth—the worst being in 2000, 2003, 2013, and 2015. Theoretically speaking, the eruptions Siebe&apos;s categorized thus far from the volcano have been kind of like a treatable array of kitchen fires; a Plinian, in line with its historical magnitude, would be sure to engulf the entire house. He and his team are certain that the question isn&apos;t if Latin America&apos;s deadliest volcano is going to have another Big One. It&apos;s when. "First, you have to define what you mean by probability," Siebe tells me, sitting at a picnic table in a common area outside UNAM&apos;s Instituto de Geofísica one day in July. Around campus, mounds of black, volcanic rock dot the various esplanades connecting UNAM&apos;s science departments. We are in this moment smack dab in the middle of a hotbed of research developments. 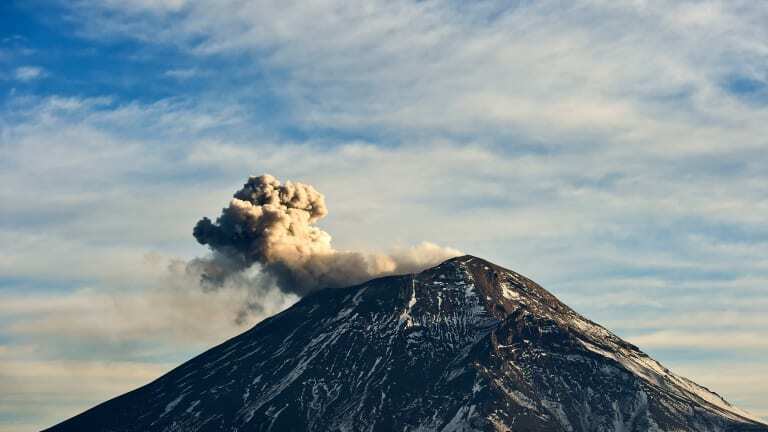 Thanks in large part to Siebe&apos;s work decades ago, UNAM has doubled down on volcanic projects related to Popocatépetl (or Popo for short), adding a department in 1994 dedicated to researching the behemoth. 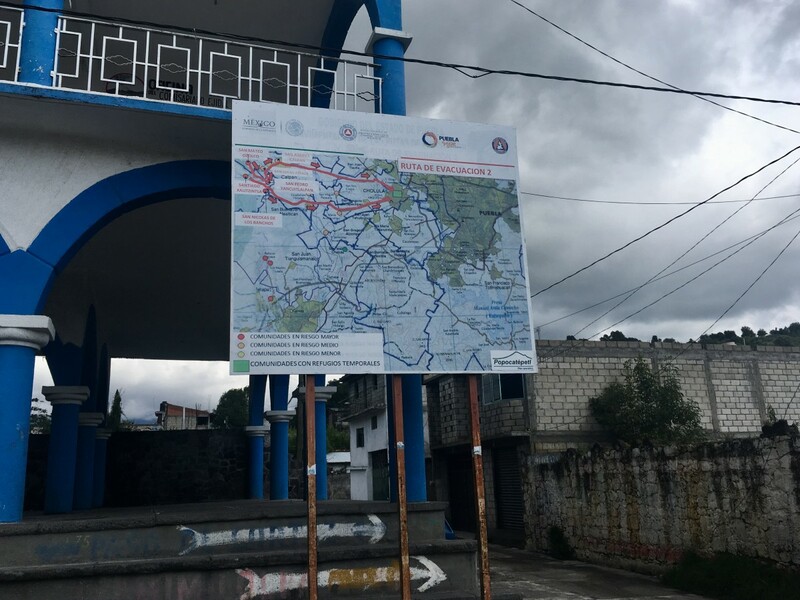 Its expansion came shortly just a few years after the creation of the Centro Nacional de Prevención de Disastres (Cenapred), a disaster monitoring federal agency started in 1988 (following an earthquake that killed 5,000 in Mexico City). Siebe, who sports a German accent and gray tweed jacket, is trying to answer a question I&apos;d posed, on the likelihood of a Plinian eruption. "What does that word probability mean to you?" he asks as he lights a cigarette. "I have to understand your definition first, if I&apos;m to answer precisely." I make up a definition: "It means to happen or not to happen?" "It is absolutely certain," Siebe says quickly. "It has to happen. It is a geological fact!" If anyone at UNAM is going to make statements about Popo, it should be Siebe. The son of a mountaineer, Siebe was 15 when he first summited the volcano he now studies. After a brief stint working as a hydrologist in Germany ("I got bored," he casually explains), Siebe left for the United States to pursue his flourishing interest in volcanology. 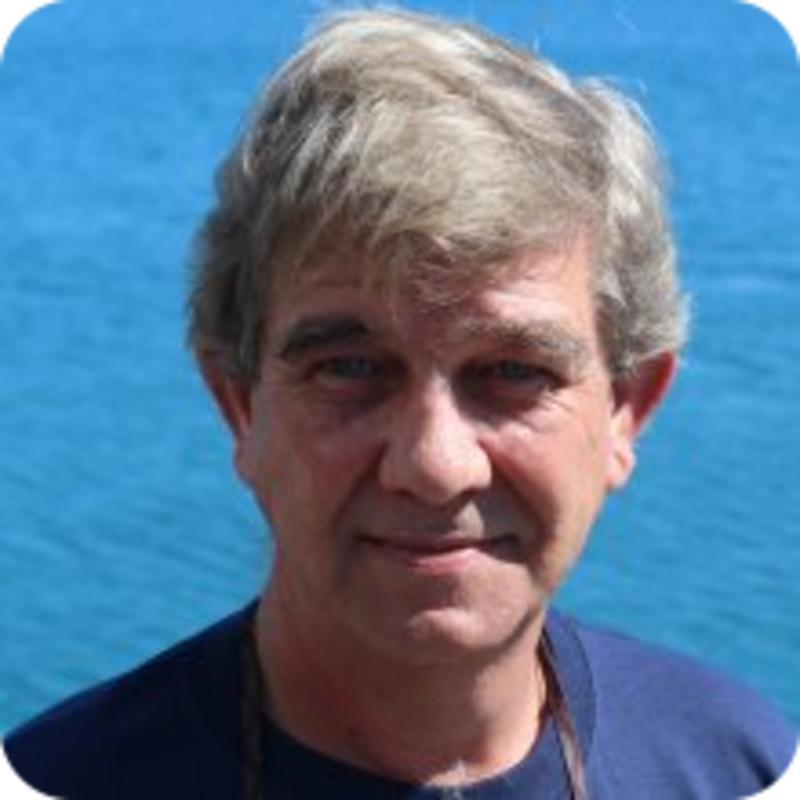 After studying with Michael Sheridan, the leading American volcanologist, at Arizona State University, Siebe landed a gig at UNAM, where he still works today, poring over data sets and analyses on Mexico&apos;s 46 volcanoes. 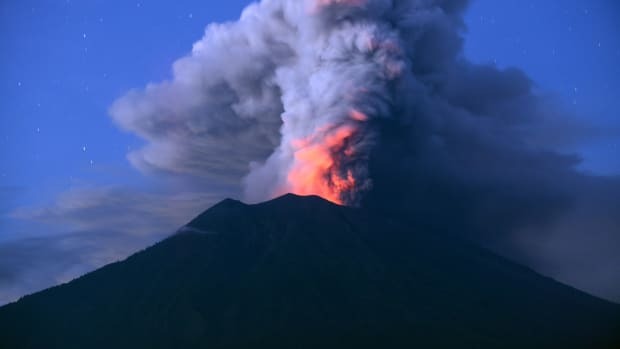 All of Siebe&apos;s most alarming data is offered to the Comité Assessor del Volcan Popocatépetl, an advisory board that, in turn, reports to Civil Protection, Mexico&apos;s federal agency in charge of disaster response. "After all," Siebe explains, "it is not the job of a professor to warn the public." I ask Siebe if he feels in any way accountable to the people in Mexico City. His data on Popocatépetl could aid in pinning down a Plinian, potentially saving thousands of lives. He says though Popo&apos;s Recurrence Interval—an educated baseline on how frequently eruptions occur over time—has diminished from a scale of roughly 200 years in the 1980s, to around 25 years today, the realistic use of this calculation is still "practically irrelevant." That is, for Civil Protection to be notified to fully prepare the surrounding population in all the risk areas, he says, "they would need days." Siebe offers a hypothetical situation. "If you&apos;re too cautious, and you do order an evacuation, it demands people get out of their routines," he says. "They&apos;ll go back thinking: &apos;OK, nothing major happened. The evacuation wasn&apos;t really needed.&apos; You&apos;ll lose credibility. And the next time people will be more reluctant to follow." While not every Plinian-sized eruption is alike in ferocity, all the volcanologists I spoke with provided grave details about Popo&apos;s sure devastation. First, you would see 1,000-degree lahars and pyroclastic flows speeding down at 60 mph. Those flows would reach most, if not all, of the towns in the High Risk area, which today include Santiago Xalitzintla (population: 2,196), and San Pedro Benito Juarez (3,153), and Buenavista (814). As a big volcanic eruption becomes certain—meaning we can see it happening—Civil Protection would order the mass evacuation of towns in about a 12-mile radius, roughly 300,000 people (about the size of Tampa, Florida). Most, if not all, would escape via prescribed highway routes to the designated shelters in Mexico City and Puebla. The resulting exodus would create traffic jams, and sure demise for those who don&apos;t leave in time. But this is just the beginning. The real threat, of course, begins after the lava halts. If the wind blew in Mexico City&apos;s direction, a city-sized cloud of ash 20 centimeters thick would descend upon the buildings, dismantling roadways, shutting down airports and the Metro line. Breathing it in could kill you. And that&apos;s just the first day. After that, seeping ash would clog Mexico City&apos;s drainage lines, poisoning its water supplies, and ceasing electricity transmission via short-circuiting. With food supplies cut off, and no electricity, the dense metropolis would probably resemble something like the World Trade Center the night of September 11th, except with three times as many people attempting to flee. All under the veil of an ash-blackened sky. 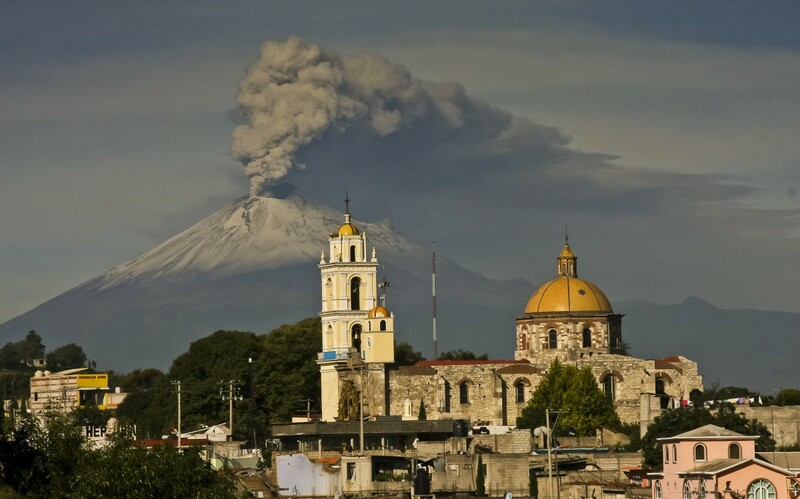 Ash spews from Popocatepetl, as seen from San Damian Texoloc municipality, on July 9th, 2013. On one Friday afternoon at the Cenapred office, which is a 20-minute walk from Siebe&apos;s department, interns run to and fro, their heads swimming with different structural risk assessments and soil analyses. Meanwhile, Ramón Espinasa Pereña, the subdirector of volcanic risks, sits at his desk, staring at a seismograph reading of Popo&apos;s activity that week. Around Pereña&apos;s office are books on volcanic surveys, charts, and a danger map for Popo that Cenapred updated just last year. The map is a particularly grim subject for Pereña: It included more towns in the High Risk area than researchers had previously estimated. "And still they build weekend homes there," he laments, "despite the danger." Besides Pereña&apos;s small department, other setbacks make monitoring Popo seem more like a chore than a public service. A few years ago, thieves vandalized one of Cenapred&apos;s three seismometer stations on the South Base, which Pereña says was probably sold for scrap metal. ("I always thought you could accuse them of attempted murder," he says.) Oftentimes, professors hog precious data, readings that could, Pereña says, be of immediate concern for public safety. Pereña and I walk out to the building&apos;s lobby, where a detailed model of Popocatépetl greets visitors. Looking down at the miniaturized replica, Pereña relates to me a story: In December of 2000, a dome was expanding inside Popo&apos;s crater, shooting out masses of molten rock. In response, President Vicente Fox ordered that those pueblos within the risk area be evacuated. But when, a few days later, the activity halted suddenly, Fox abruptly ordered people back to their homes. He didn&apos;t want to stifle their New Year&apos;s plans. "A month later, that dome exploded," Pereña says. 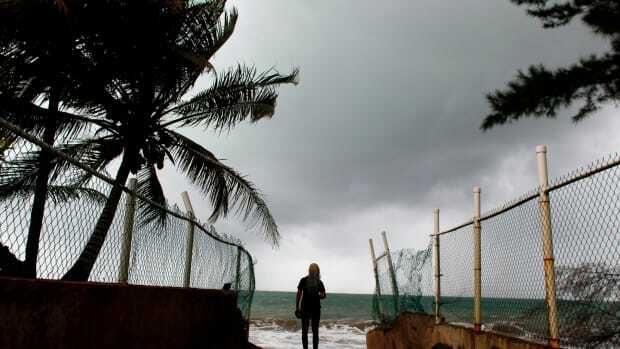 "Mudflows stopped a hundred meters outside the towns, a hair&apos;s breadth away. It was like God came in and stopped it." Many of the townsfolk in the pueblo Santiago Xalitzintla know him as El Tiempero, or the "One Who Watches the Weather." But on his ID card, he&apos;s known as Don Antonio Analco. Xalitzintla is the closest pueblo to Popocatépetl&apos;s summit, falling well within the High Risk radius. And, according to Cenapred, the town&apos;s been expanding into the High Risk area for nearly a decade. In the town zocalo, stray dogs yap endlessly as women sell quesadillas and candy. Students in uniform convene for recess. The only reminder that Xalitzintla could easily be leveled by mudflows is an evacuation map, which depicts to passersby the "ruta de evacuación" in the event of catastrophe, located near the town entrance. A sign depicts the evacuation route in Santiago Xalitzintla, the closest town to the volcano, sits in front of city hall. 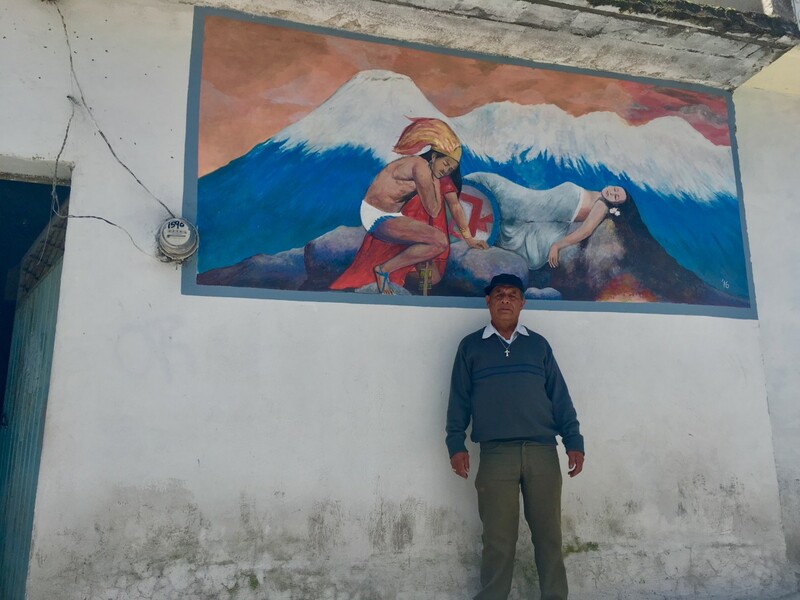 I find Analco, 70, and his wife at their home in prime view of Popocatépetl&apos;s icy summit. Unlike Siebe or Pereña, Analco, who wears a black sweater, cross-and-Zen necklace, and flat cap, has no seismographs in his office. That&apos;s just as well: He can&apos;t read them anyway. Inside his small home, six of Analco&apos;s students sit cross-legged on a concrete slab. Just the day before, Analco and his disciples had pilgrimaged two hours to Popo&apos;s base to perform a religious ceremony, offering food and crosses to the natural wonder. It&apos;s a "fiesta" they perform at least three to four times a year. One only Analco can administer. "Ever since I was a child," he says, "I&apos;ve had this gift from God." Analco&apos;s legend goes like this: The spirit of Popocatépetl appeared to him as a young cattle herder in the 1940s. Coming from a long line of mystics, Analco knew his "gift" purposed him as a dutiful sage for Xalitzintla and its neighboring pueblos. It&apos;s why, he says, "when that day comes [of the eruption], I&apos;m going to be advised. And I&apos;ll, in turn, advise my pueblo, to ensure that my people are safe." It makes Analco sort of the spiritual antithesis to Cenapred. Whenever I bring up Pereña or volcanic research, he dodges the question or just laughs. Civil Protection, he explains, has been trying to evict him out of Xalitzintla for years. 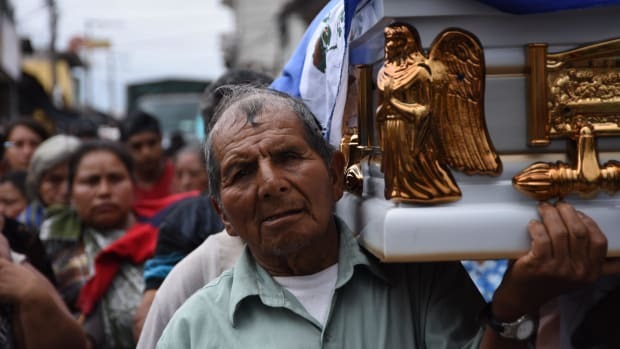 Don Antonio Analco stands in front of his home in Santiago Xalitzintla, on August 31st, 2018. This was precisely what happened during Popo&apos;s eruption in May of 2013, when Civil Protection ushered in almost 2,000 workers and volunteers to aid in its evacuation of 70,000 locals. That day, four kilometers of smoke spewed high up, and authorities couldn&apos;t decide whether the eruption merited an evacuation. Citizens in four states were mobilized, including townsfolk in Xalitzintla. In the end, many in the populace opted to ignore government orders and instead stayed put: Analco&apos;s word of false alarm was believed over the government&apos;s. Their skepticism paid off: That Big One turned out to be not so big after all. I ask how, in that moment, Analco knew Popo wasn&apos;t experiencing a Plinian. His response rings with a hint of irritation. "When that day comes to pass, well, I&apos;ll know," he says. "It&apos;s still years away. It&apos;s years before it&apos;ll happen." All those who still swear by Analco&apos;s clairvoyance better hope he&apos;s right. There's no one-size-fits-all approach to discerning when a volcano may explode; they all have their own individual characteristics. 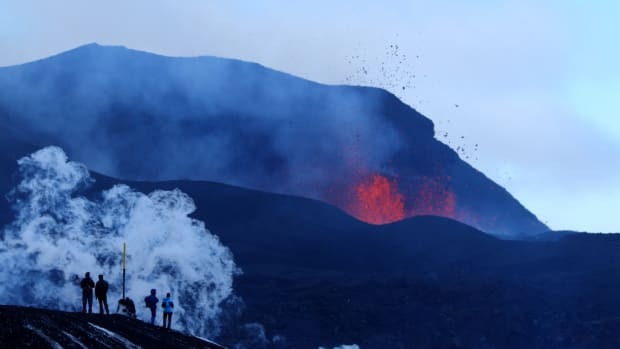 In Island on Fire, Alexandra Witze and Jeff Kanipe put recent volcanic events into the context of the legendary 1783 eruption of Iceland's Laki.